Monrovia – Montserrado County District #8 Representative, Acarous Moses Gray has assured the international community of the Liberian Government’s commitments to properly investigating the reported missing L$16 billion saga. Addressing an international forum comprising parliamentarians from Africa, the Caribbean and the Pacific (ACP), Rep. Gray said President George M. Weah has vowed to implement the recommendations of the Presidential Investigative Team that is probing the saga. “His Excellency President George M. Weah, Sr. has vowed to act on the outcome of the investigation and at the same time reassuring the people of Liberia and international partner of his quest to protect the country’s economy and wellbeing of the state,” he said. He furthered that the government also sought the involvement of the International Monetary Funds (IMF) and other international actors to find a “swift and transparent conclusion” to the public concerns. The District #8 lawmaker, who is a staunch member of the ruling Coalition for Democratic Change Party, said that Liberia’s political situation is stable as expected. He cited what he called “democratic and collective reconciliatory factors”, adding that the recent protest by scores of Liberians including opposition and civil society groups was a testament of the government’s commitment to promoting a tolerant and democratic society. He told his colleagues that Liberia, under the current administration, has been able to make unprecedented gains by decriminalizing free speech to protect the media and at the same time passing into law the Local Government and Land Rights Acts. “These instruments signed into law by His Excellent President Weah, will see the decentralization of power and the wealth of the state, and at the same time settling land disputes and protecting traditional and customary land ownership,” he averred. Meanwhile, Rep. Gray indicated that the country stands in solidarity with countries that are grappling with security threats, making specific reference to Burkina Faso. He was, however, quick to point out that Liberia, like neighboring Sierra Leone, having graduated from years of bloody civil crisis continues to maintain peaceful coexistence on national security issues. 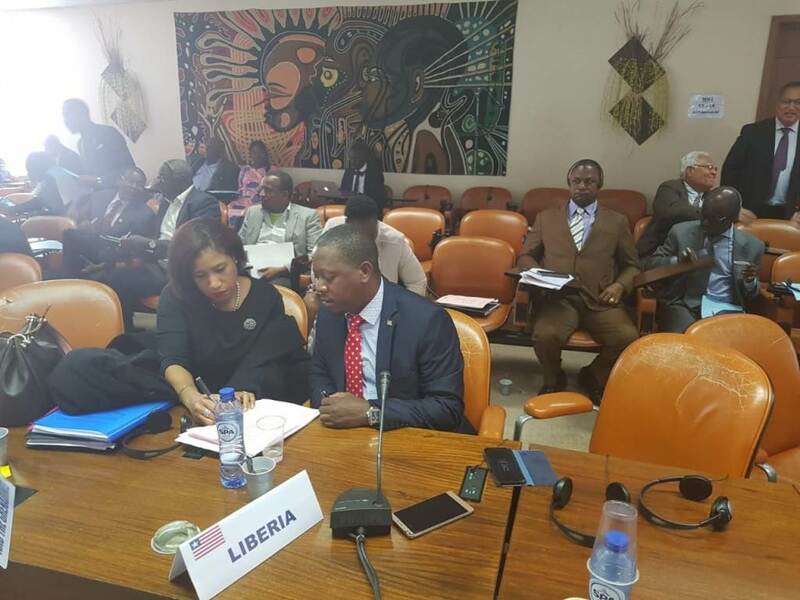 “Liberia is stable domestically and continues to maintain its regional responsibility to peace and security in the ECOWAS region. Liberia remains open to sustainable development and investment opportunities,” he noted.